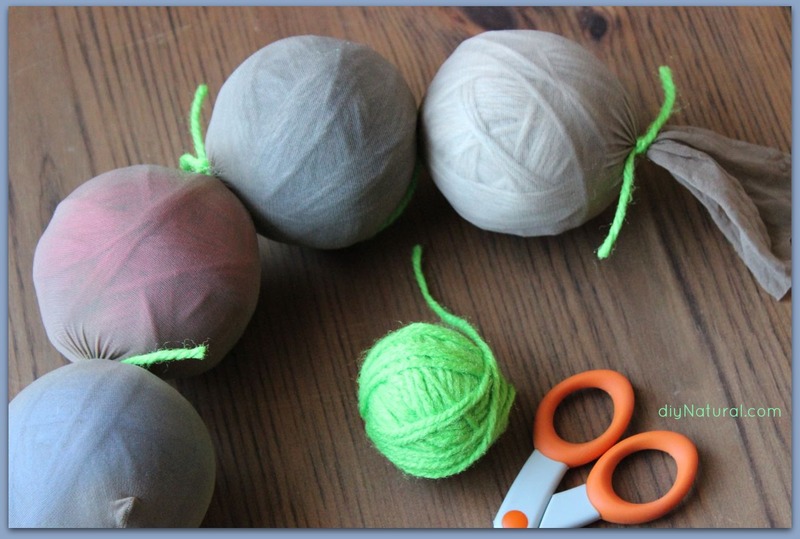 I fell in love with the idea of Wool Dryer Balls when my friends started talking about them. I hate putting chemicals in my family’s clothing and you know I have a very spoiled fur kid with skin issues so I always have to worry about that too. So of course, I read all the posts about how to make dryer balls then head to Hobby Lobby and look for 100% wool yarn. Not as easy as you would think there was only 1 brand of yarn that were 100% wool and it wasn’t on sale, (sad panda) but I bought two skeins at $7.95 each and headed home. I crochet and have rolled my skeins into balls for years so this was easy if not a bit tedious and hand tiring endeavor but you can do it and watch TV… the wool was a little harder on my hands than the usual soft acrylics I’m used to working with but I got my 4 medium balls completed. This Kaleidoscope Ocean Breeze is gorgeous! Kaleidoscope Disco Lights Wool Yarn is also fun! This brand has some a nice selection of colors of wool yarn including this Gecko Green! A couple of tips from DIY Natural’s post are to watch out for any wool labeled “superwash” or “machine washable.” This type will NOT felt or if you are really thrifty or green and have an old wool sweater you can unravel the yarn from, use it or pick one up on your local Varagesale or Goodwill store. Crochet Hook (I prefer Susan Bates) or large needle to secure the ends of the yarn. Take the yarn and wrap it around 3 fingers 8-12 times, pull it off your fingers and wrap the yard in the center of those loops several times. Double those loops over on themselves and then begin wrapping the ball as tight as possible going in all different directions. As soon as the ball is a little bigger than what you want the finished product to be. Cut the yard and use the crochet or the large needle to bury the end of the yarn deep inside the ball. Tie the ball securely with string or acrylic yarn as you don’t want that to felt with your ball. Continue this process until all of your yarn is used up or until you have all the balls you want. Take the first ball and put it in the end of the nylons and tie off that ball with the string, put in the second ball and so on until you have a group that looks like the picture here. Put them in the hottest water wash possible and then dry them in the hottest dryer possible. Repeat this process until they are felted. Then to add that something extra to make your clothes and your laundry room smell amazing add a few drops of your favorite Essential Oil before you pop them in the dryer with your clothing. Lavender is fantastic for your sheets and pillowcases because we all know it’s the one we put in the diffuser at night to help with sleeping and snoring and Purification works wonders on hubby’s socks and workout clothes to rid everything of any odor. Now for the EASY WAY.. because this took me a lot of time and several SEVERAL loads of washing and drying to get them felted. You can just buy them from ladies who are more skilled at it than you are. I bought these and love them. These adorable dryer balls are made in Nepal of New Zealand sheep. Several amazing artisans on Etsy make Felted Wool Dryer Balls too. You could also assign an essential oil to a color so you could always have the right scent for the load of laundry you are drying. Why Do Felted Wool Dryer Balls Work? Another common cause of static in the laundry is over-drying. When items are completely dry and no moisture remains, this invites static electricity into the mix. Allow clothes to dry only until they’re not wet anymore – tumbling around for excessive amounts of time in the dry heat increases static and increases your energy costs. If you have a cycle on your dryer that turns it off when the clothes are dry that is your best bet to beat the static. You can also dry your synthetic clothes in a load separate from your natural fibers. 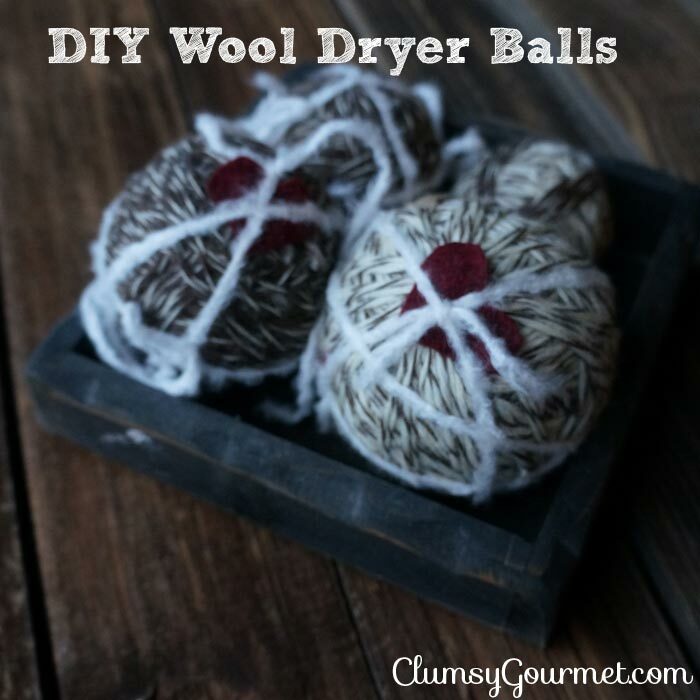 Wool dryer balls are safe to use on cloth diapers. No chemicals! If you have a spoiled pet whose beds get washed and dried regularly, wool dryer balls also help get more of the pet hair off of their beds and blankets. 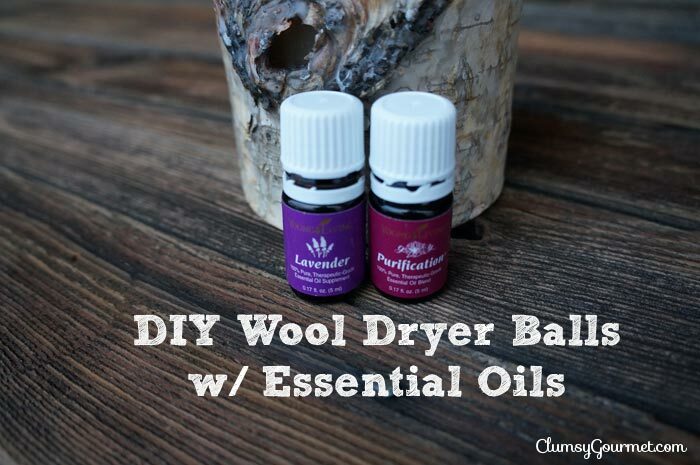 Let me know if you have tried Wool Dryer Balls and if you made them yourself or decided to go the easy route and buy them already made and ready to go in our discussion on Facebook here. Looking for ways and recipes to use your Essential Oils? Join us on Facebook Essential Oils Recipes.